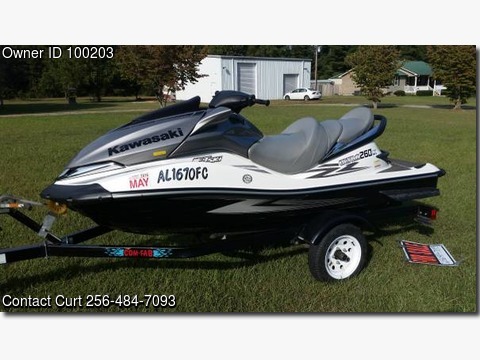 Please call owner Curt at 256-484-7093. PWC is in Cedar Bluff, Alabama. 2009 Kawasaki 260 Ultra super charged, super fast, and super clean. Only has 79 hours on it and is in excellent shape. Has a cover, trailer, and life jackets.